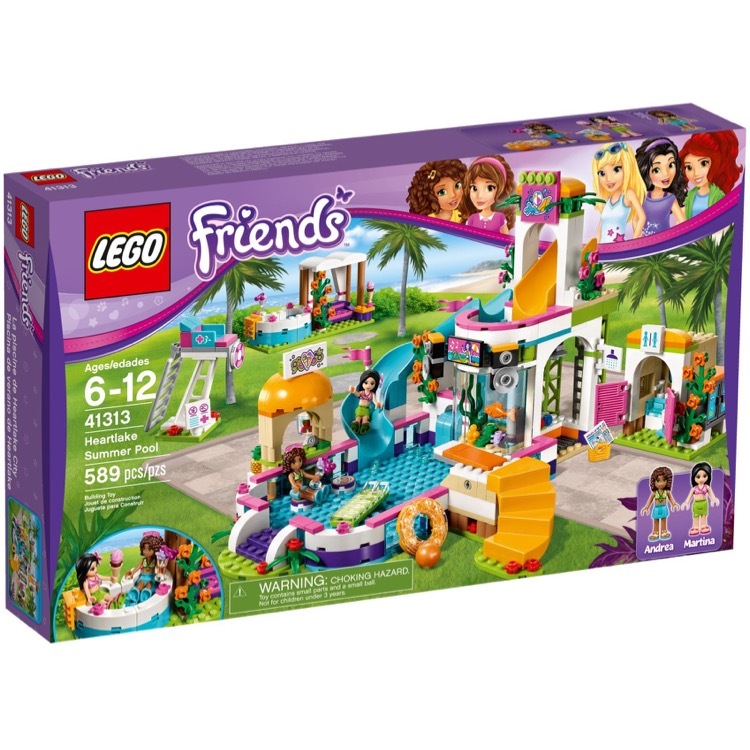 This is a BRAND NEW set of LEGO® Friends 41313 Heartlake Summer Pool from 2017. This set is still factory sealed and the box is in very good condition with minor shelf wear. 589 pieces and 2 minifigures©. 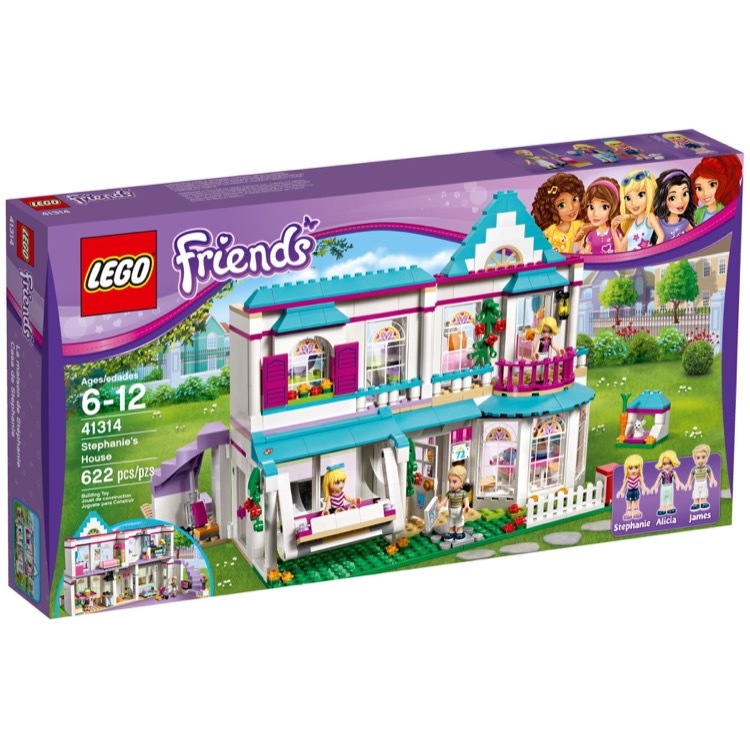 This is a BRAND NEW set of LEGO® Friends 41314 Stephanie's House from 2017. This set is still factory sealed and the box is in very good condition with minor shelf wear. 622 pieces and 3 minifigures©. 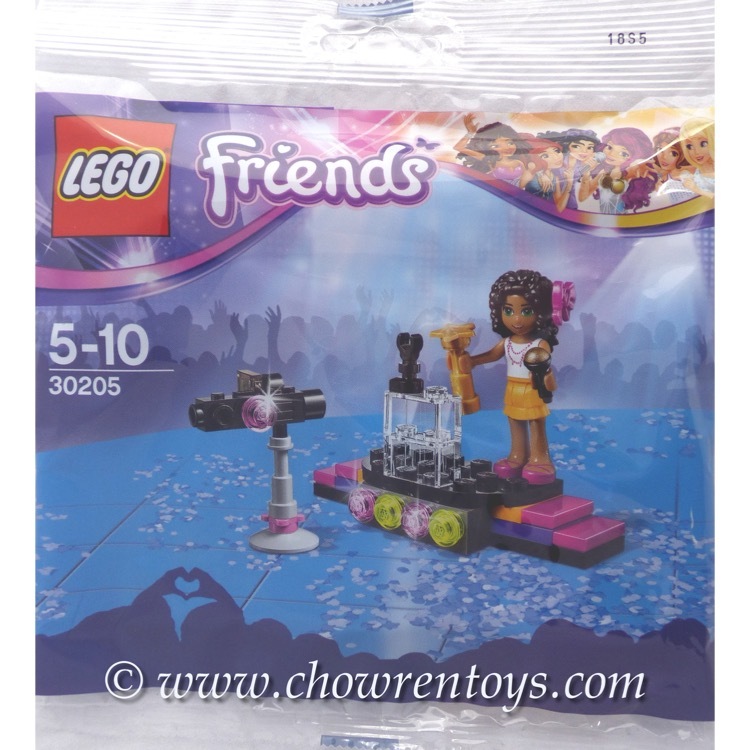 This is a BRAND NEW polybag set of LEGO® Friends 30205 Pop Star Red Carpet from 2015. This polybag set is still factory sealed and is in very good condition. 33 pieces and 1 minifigure©. 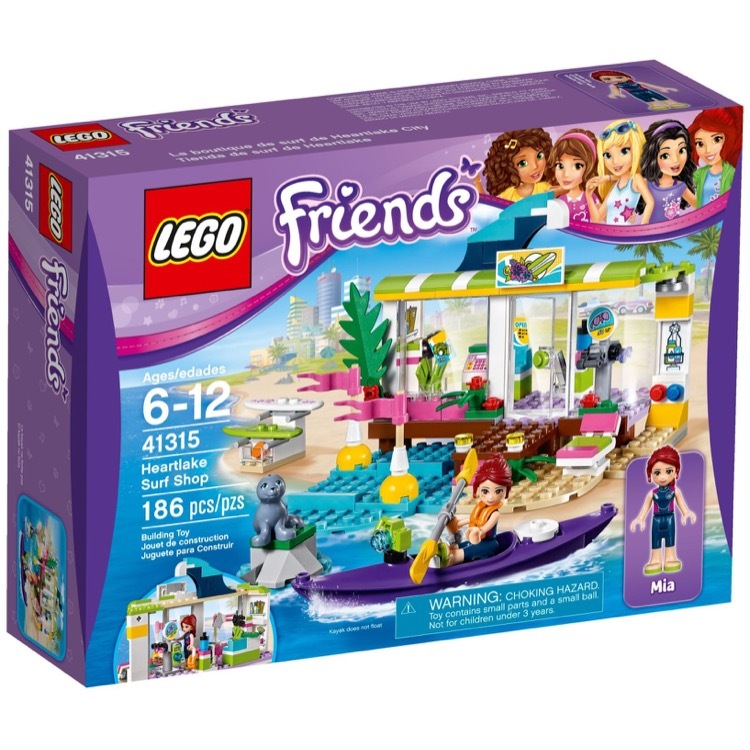 This is a BRAND NEW set of LEGO® Friends 41315 Heartlake Surf Shop from 2017. This set is still factory sealed and the box is in very good condition with minor shelf wear. 186 pieces and 1 mini-doll figure. This is a BRAND NEW set of LEGO® Friends 41316 Andrea's Speedboat Transporter from 2017. This set is still factory sealed and the box is in very good condition with minor shelf wear. 309 pieces and 2 mini-doll figures. 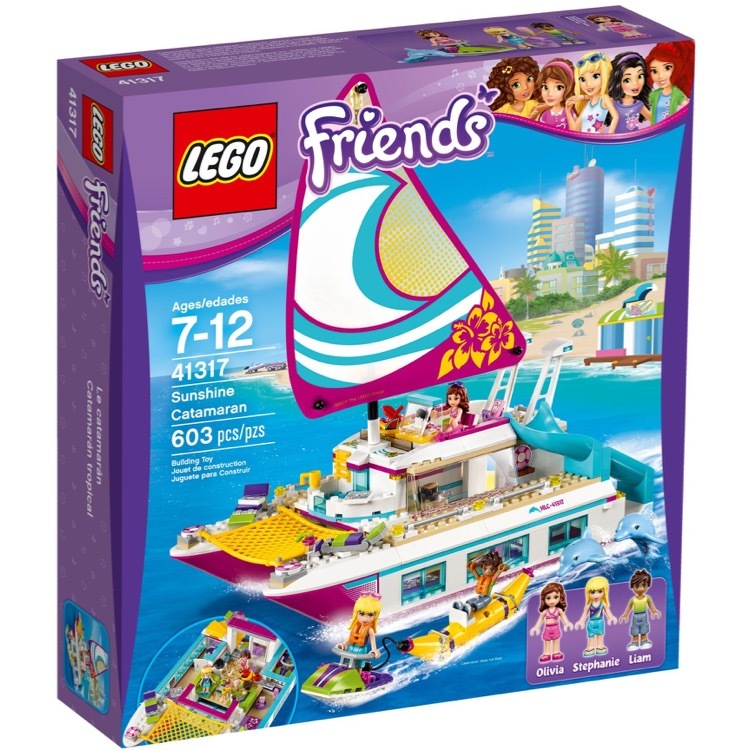 This is a BRAND NEW set of LEGO® Friends 41317 Sunshine Catamaran from 2017. This set is still factory sealed and the box is in very good condition with minor shelf wear. 603 pieces and 3 mini-doll figures. 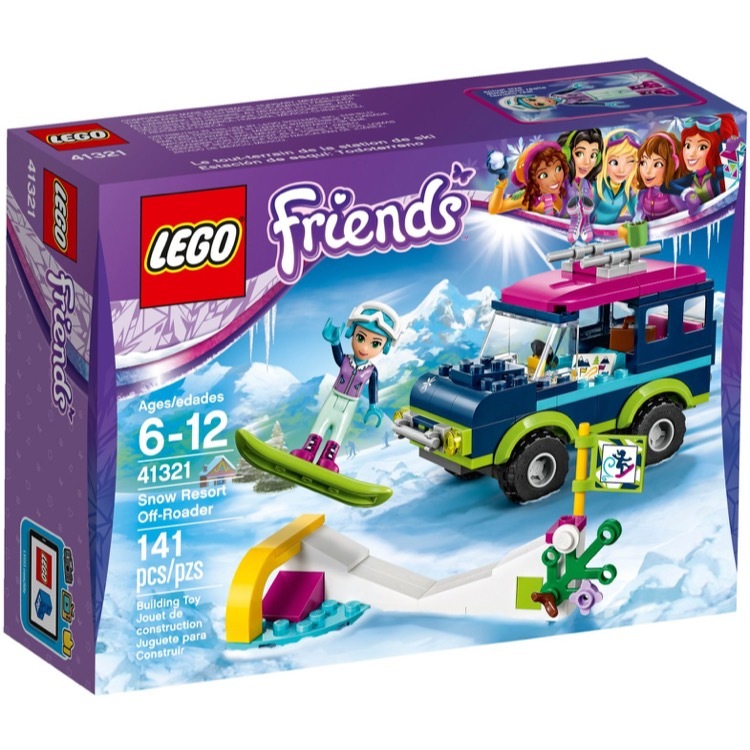 This is a BRAND NEW set of LEGO® Friends 41321 Snow Resort Off-Roader from 2017. This set is still factory sealed and the box is in very good condition with minor shelf wear. 141 pieces and 1 mini-doll figure. 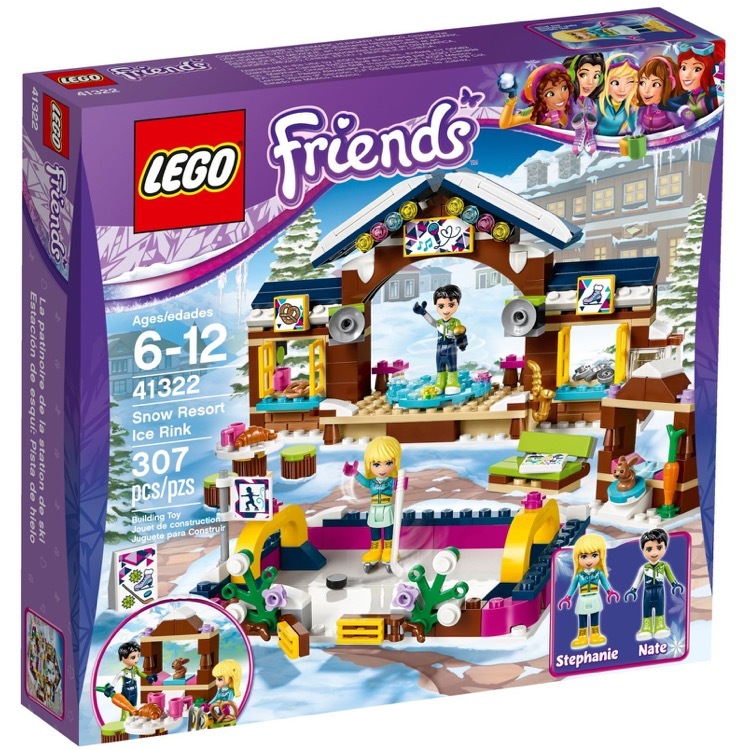 This is a BRAND NEW set of LEGO® Friends 41322 Snow Resort Ice Rink from 2017. This set is still factory sealed and the box is in very good condition with minor shelf wear. 307 pieces and 2 mini-doll figures. 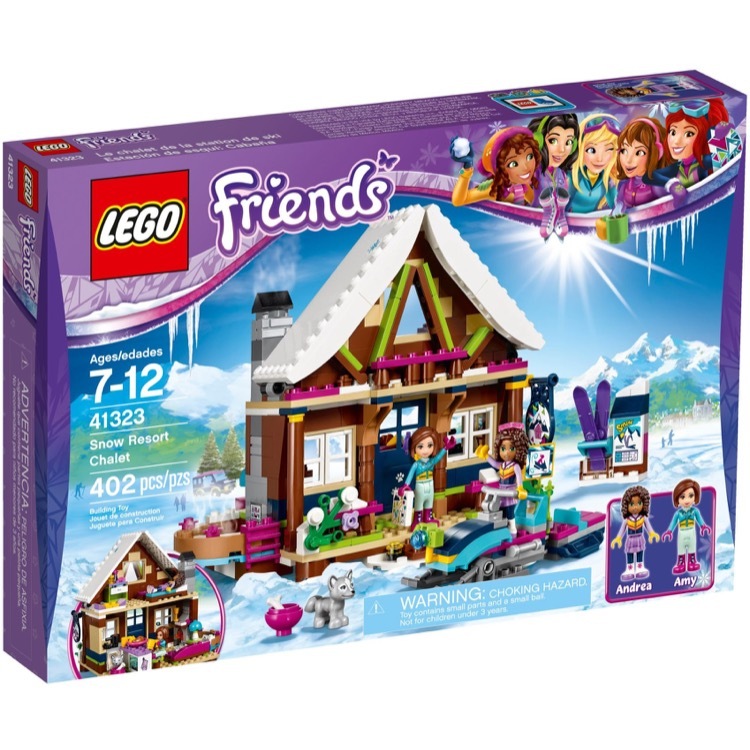 This is a BRAND NEW set of LEGO® Friends 41323 Snow Resort Chalet from 2017. This set is still factory sealed and the box is in very good condition with minor shelf wear. 402 pieces and 2 mini-doll figures. 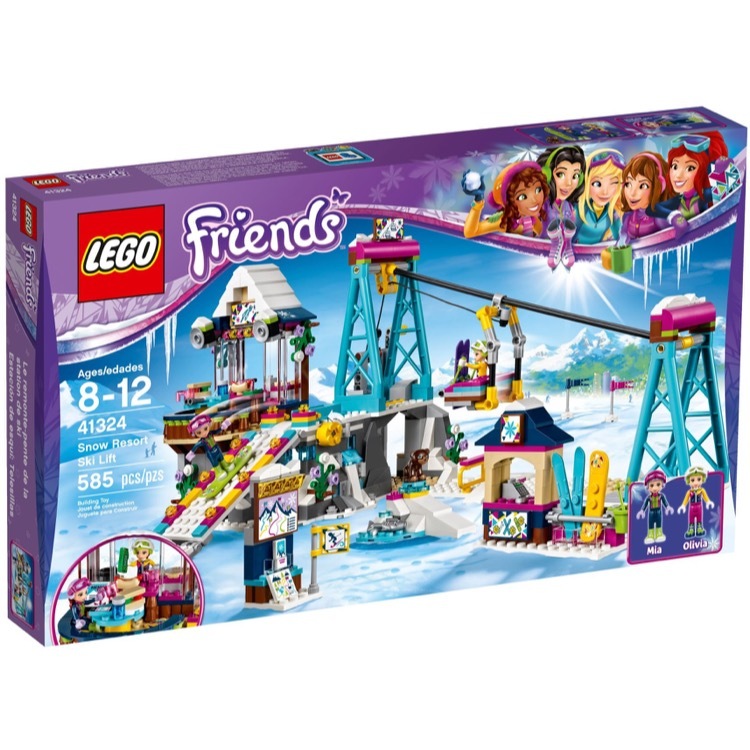 This is a BRAND NEW set of LEGO® Friends 41324 Snow Resort Ski Lift from 2017. This set is still factory sealed and the box is in very good condition with minor shelf wear. 585 pieces and 2 mini-doll figures. 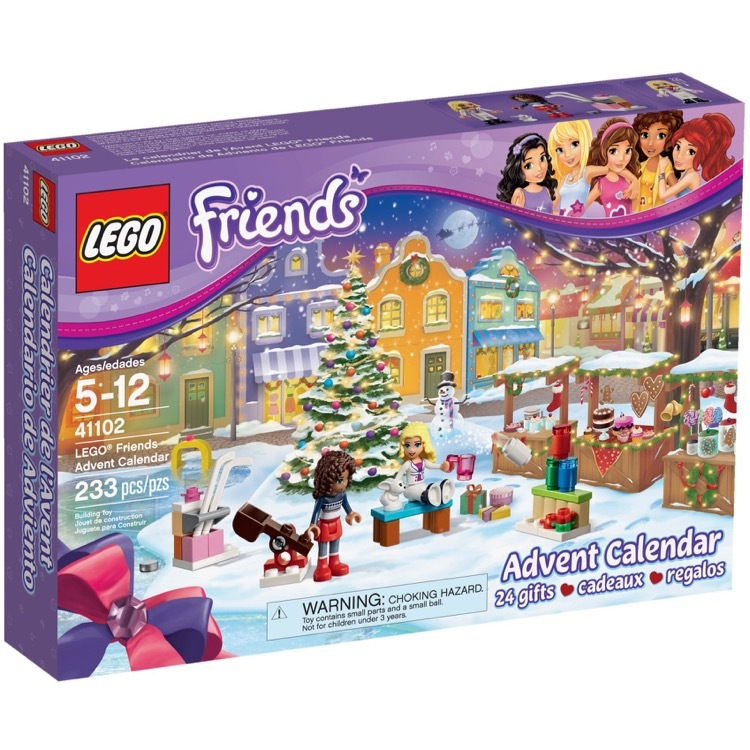 This is a BRAND NEW set of LEGO® Friends 41102 Friends Advent Calendar from 2015. This set is brand new, however the set you receive may have one or more of the following conditions; broken seal, crushed box, sticker damage, heavy creases, wrinkles, dents and shelf wear. 233 pieces and 2 mini-doll figures. This is a BRAND NEW polybag set of LEGO® Friends 30399 Bowling Alley from 2016. This polybag set is still factory sealed and is in very good condition. 51 pieces and 1 minifigure©.